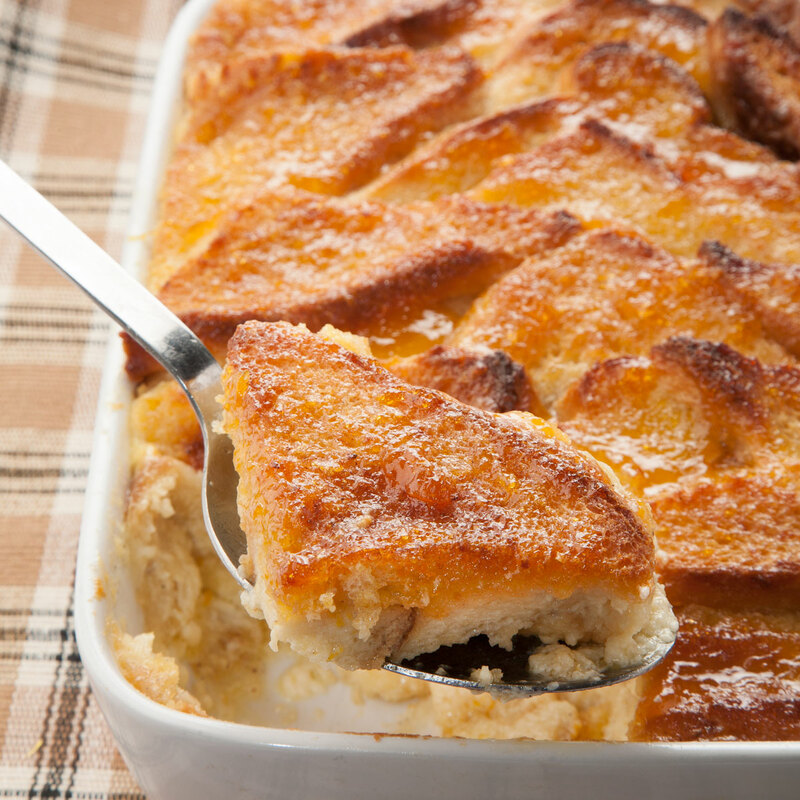 Bread and butter pudding - home cooked food delivered. We deliver your food fresh to your door using specialised packaging and speedy carriers keeping your food fresh, up to 48 hours from delivery.. Find out more..
Another British family favourite, revisited and perfected by our chefs. Cream, vanilla, apricot jam and more more more… we have done all the hard work, allowing you to simply enjoy this comforting classic pudding. Unsalted butter (MILK), nutmeg, cinnamon, orange zest, brioche (GLUTEN), free range EGGS, caster sugar, MILK, cream, vanilla pod, apricot jam. Remove outer packaging and place wooden box on a baking tray in a preheated oven at 180°C for approx. 30 mins. Ensure product is piping hot before serving. Keep refrigerated, use within 3 days or freeze immediately. All of our meals are cooked fresh, so you can eat as little or as much as you want and freeze the rest (unless the storage instructions state otherwise). Please note: our products are made in kitchens which use peanuts.